Children enjoy singing, readily memorize songs that strike their fancy, and belt out their favorites with abandon. 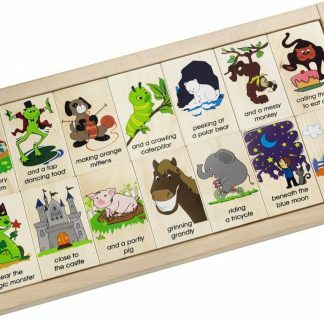 Among early childhood favorites are nursery rhymes with their memorable storylines. 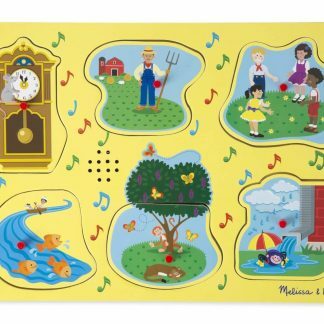 Imagine a sound peg puzzle that invites singing along. Sing-Along Nursery Rhymes 1 does. 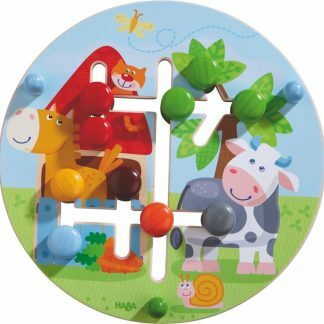 Each puzzle piece features an illustration from one of six nursery rhymes. Lift a piece and hear the related rhyme. Then sing-along. 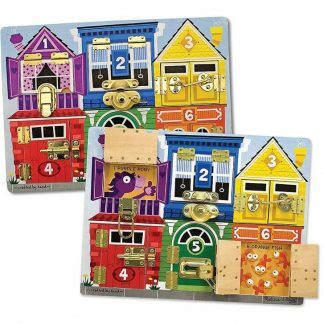 Sing-Along Nursery Rhymes 1 includes six traditional nursery rhymes-Hickory Dickory Dock, The Farmer in the Dell, Ring Around the Rosie, Row, Row, Row Your Boat, Pop Goes the Weasel, and The Itsy Bitsy Spider. Reacquaint yourself and introduce your children to the joys of nursery rhymes. Think about the conversations these rhymes can spark. Has anyone ever seen a mouse run up a clock? 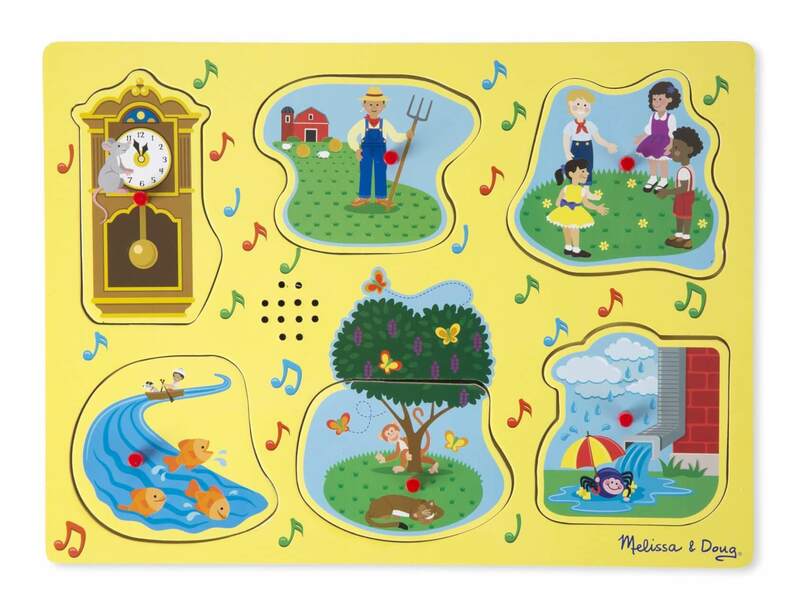 These delightful ditties invite memorization and recall and bridge generations. 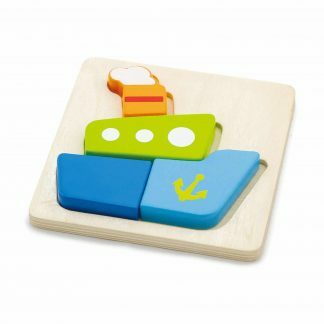 Grasping the peg and lifting the puzzle piece develop pincer grasp. 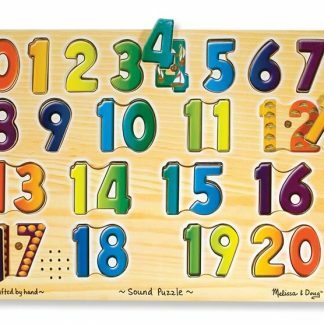 Measures 12″L x 9″W. Two AAA batteries required, not included.